Try to remember a time before you judged a pizza by its strict adherence to the Vera Pizza Napoletana guidelines. A time when barbecue chicken, complete with swirls of sauce, was a very cool topping, and the thick, chewy crust of a personal pan pizza was the ultimate Friday night essential. California Sun, opening this month in Silver Lake, wants to bring those memories back to life. 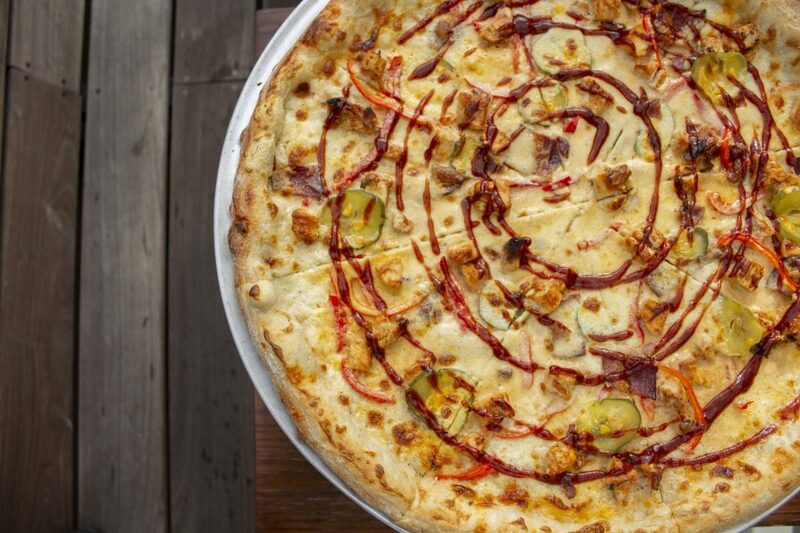 Detroit-style personal-pan pizzas and New York-style pies will be on offer, with toppings ranging from classic options to a retro taco pizza with beans, shredded lettuce, and pickled jalapeños. The New York pizzas will be available by the slice, or full 20-inch round. Since we don’t all eat the way we did in the simpler times of the ’90s, California Sun will have salads and options suitable for vegan, gluten-free, paleo, and keto diets. 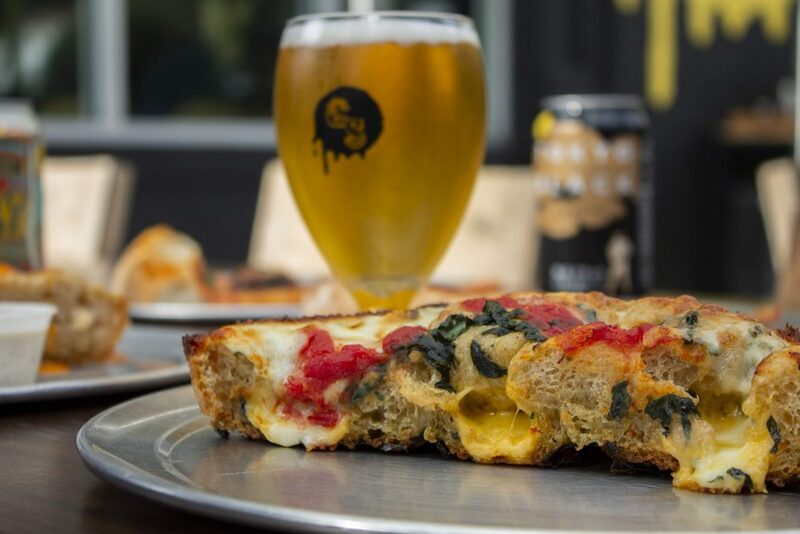 The pizzeria, which takes over the prominent Sunset Boulevard location adjacent to the historic Black Cat, is the newest project of Artisanal Brewers Collective. The group already operates 13 other local gastropub-leaning concepts, including Mohawk Bend, Bluebird Brasserie, and Broxton. Like all the projects of Artisanal Brewers Collective, beer is a big component of California Sun. 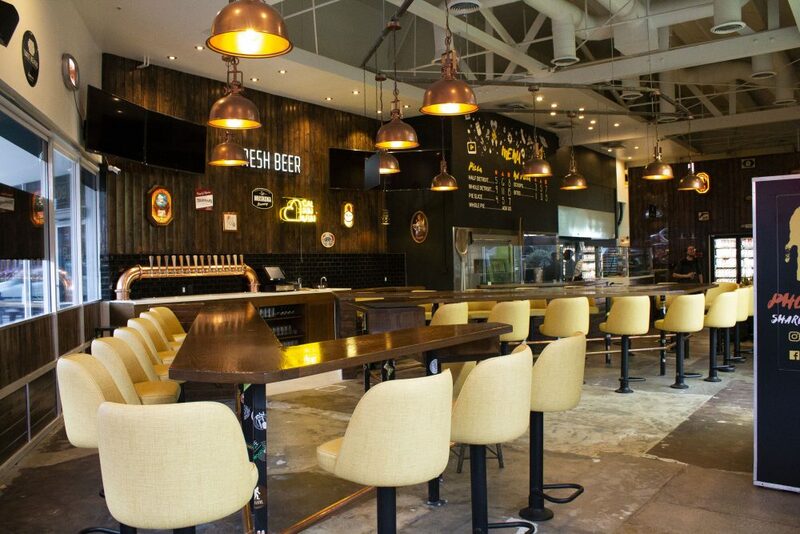 Over 100 beers will be in stock, along with wine and craft sodas, as well as another 14 drafts of beers produced by ABC’s brewpub group, New Originals Breweries. 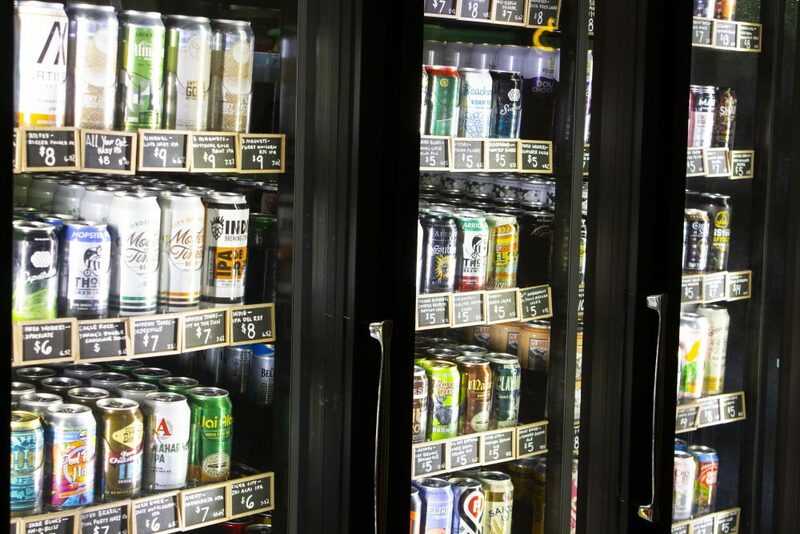 You’ll be able to make your selections by grabbing cans out of large coolers–and the shop’s license allows for you to enjoy a beer while you sit and eat your pizza, or make your own packs for take away. The restaurant will have a number of promos and happy hours, including 15 percent off whole pizzas for neighborhood residents on Thursdays. Our favorite may be Wu-sday Tuesdays when Wu-Tang Clan bangers will dominate the playlist, kung-fu flicks will play, and the Teenage Ninja Turtle vibes will be in full effect. California Sun, 3903 Sunset Boulevard, Silver Lake. The restaurant is scheduled to open on February 11 at 11 a.m.